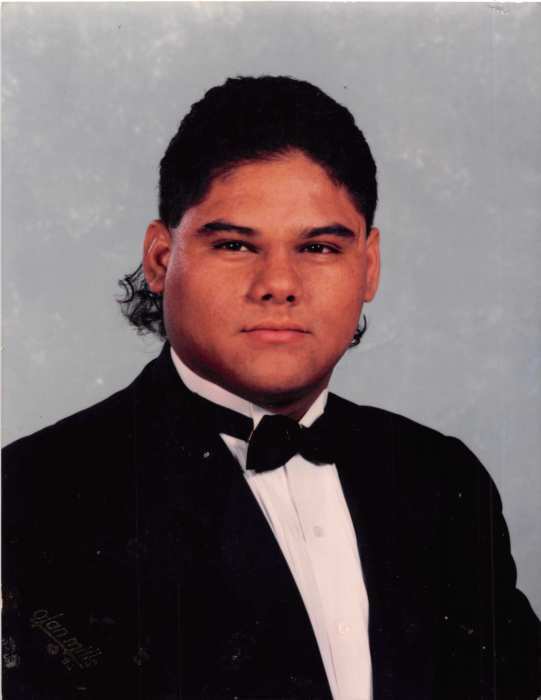 Alfred “Freddie” Aguero, 44, of Yorktown passed away Thurs. April 11, 2019. He was born Aug. 29, 1974 in Cuero to Delia Garcia Aguero and the late Mateo Aguero Jr. Freddie was a loving and caring person to whoever he would met. He would give you the shirt off his back and was a friend to everyone he met. He is survived by his son Dylan Aguero, step son Caleb Baletka, mother Delia Aguero, sisters Kimberley Aguero, Rebecca Zapata and Christine Rios. He is also survived by many nieces and nephews. He is preceded in death by his father Mateo Aguero Jr. and grandparents Mateo Aguero Sr. and Amelia Salinas and Leonardo and Angelita Garcia. Visitation 9-11 am Monday April 15, 2019 with Rosary at 11 am at Massey Funeral Home. Interment to follow at San Luis Catholic Cemetery. Pallbearers will be Mateo Dylan Aguero, Tony Garcia III, Rafael Vela, Eugene Rios Jr., Mathias Sixtos Jr., Caleb Kristopher Baletka, Michael Zapata Jr. and Johnathon Torres.